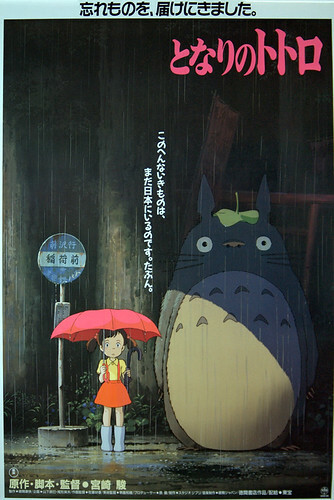 Hayao Miyazaki – My Neighbor Totoro – Japanese movie poster B1 size, originally uploaded by japanese-movie-posters. This is another one that a lot of people are after. I found this one in fantastic condition and just had to pick it up. A super poster, and so much better in real life than in this small picture.